The off-season is a time to regenerate and strengthen my body for the upcoming winter. For the last 7 years, I’ve followed a more or less traditional strength training program with my coaches with a focus on explosive strength. I would go to the gym 3 to 4 times per week, doing specific exercises for a certain number of sets and repetitions, with a specific amount of rest in between. It would typically take me 2 to 2,5 hours to get through the entire program. The long sessions took a large chunk out of my day, and I found it increasingly hard to motivate myself to go to the gym. This year, I’m going to try something new, and I’m pretty excited about it: CrossFit. CrossFit is defined as „constantly varied functional movements performed at high intensity”, see CrossFit.com. Functional movements are movements based on real-world situational biomechanics. The movements in CrossFit include, among others, aspects of gymnastics, weightlifting, running, and rowing. Sessions are done in a group environment and are short and intense, using the method of interval training to develop the cardiovascular system. Interval training is the key to developing “cardio” without the loss of strength, speed, and power which results from aerobic training (activities at low power and lasting in excess of several minutes, such as running longer distances). For me, this is where CrossFit gets really interesting, as I have always struggled to find a way to train power as well as cardio – which I need of course for hiking lines and skiing long runs. According to Greg Glassman, the founder of CrossFit, anaerobic activity can be used to develop a very high level of aerobic fitness without the muscle wasting consistent with high volumes of aerobic exercise (What is Fitness, 2002). Before you sign up to a CrossFit gym or “box”, you want to make sure it has good coaches who will teach you good technique. 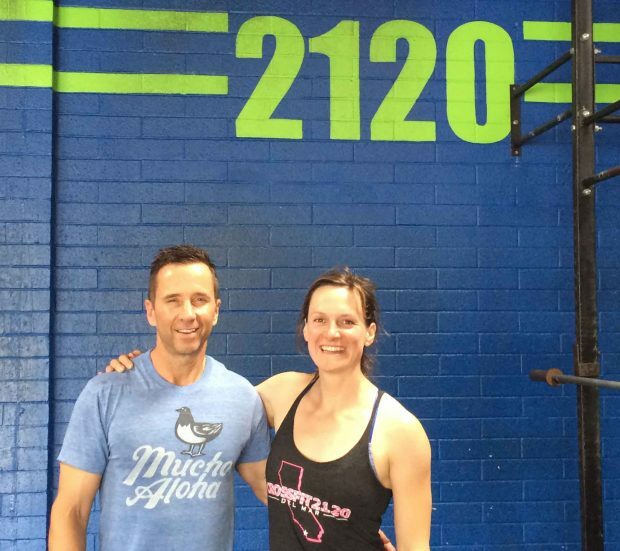 I’m going to be working with owner and coach Dan Miller of CrossFit 2120 in Del Mar near San Diego, California. Dan is a perfect fit for me for three reasons: 1) he is an amazing and highly qualified coach with a strong emphasis on technique, 2) he is a retired competitive mogul skier, and 3) he runs a well-equipped, fun, and friendly CrossFit gym with other great trainers and members who are motivated to regularly put in the work. I had a chat to Dan Miller the other day which I would like to share with you below. I welcome you to follow my journey on Facebook and Instagram this summer as I experiment with this completely new training form, so stay tuned! 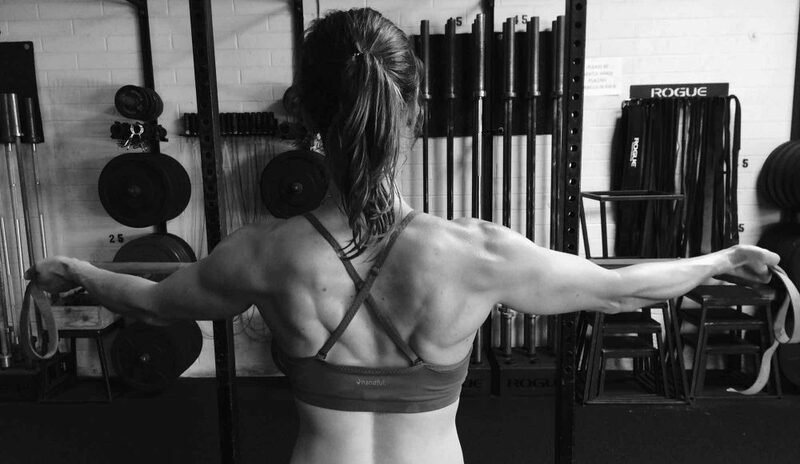 Lorraine: What can I expect from training CrossFit? Dan: Of course, what you get out of CrossFit will always depend on the individual and how many days you train per week. I would want to see you train 5 days per week. Given that you’re a dedicated athlete and move well already, I believe you will see substantial growth in three months and I’m excited for you. I think you’ll like where you’ll be. I think your engine (cardio) is going to greatly improve, you’ll get stronger and your overall work capacity will improve. And we’ll be able to measure that too. Lorraine: Is CrossFit going to translate to my skiing or will I just get better at doing CrossFit? Dan: I have no doubt that CrossFit is going to apply to your skiing, because I have seen it time and again with the members at our gym. They have more strength and stamina to enjoy the sports and things they love to do outside of CrossFit. You will have increased stamina as far as the hiking, skiing with confidence and multiple ski runs goes as well as the capacity to do more in a day, week, or month. It will translate in a way that you can go hard all day long on the mountain, still feel good in the evening, and be ready to go hard again the following day. I’m not saying that how you trained so far wasn’t the right way to train – you trained how you had to at the time to win a world championship, and it obviously worked for you. Let’s just look at this as doing something different. CrossFit is going to provide you with a lot of variety with aspects of gymnastics, weightlifting, running, rowing, and more. You might also find that after training CrossFit for three months, you won’t shy away from continuing that training during the winter season and maintaining your strength. Lorraine: Well it certainly would be a huge plus to keep my strength and not have to start from scratch again after the winter season like I always have done in the past. I never found the discipline to go to the gym during the winters, I would always just ski and stretch/mobilise. After the winter, it was always painful to get back into the gym again. Dan: I can see you getting your fitness to a level that you will want to maintain. Accessibility shouldn’t be a problem, you can find CrossFit gyms everywhere these days. That will definitely be an interesting experiment for you. Lorraine: What else is special about CrossFit? Dan: The magic is in the community for sure. Depending on what box you work out at, the community is a big thing. Lorraine: Do you think I’m going to be the fittest I’ve ever been after three months of training with CrossFit 2120? Lorraine: Tell me a bit about you Dan. When did you get into CrossFit? Dan: I’m an OG, an original! I got my CrossFit Level 1 Certification back in 2005. There were only 22 CrossFit affiliates in the world at that time (now there are more than 13,000 CrossFit gyms located in 142 countries). After my certification I worked with Mark Divine who later started SEALFIT. In 2012, I opened CrossFit 2120 and I also coach the SEALFIT Kokoro Camp, a 50-hour crucible training event modeled after the US Navy SEALs “Hell Week”. I’m over 50 now and my training currently is as good as it has been in the last six or seven years. I’m really enjoying the training and I get in here 4 to 5 days a week, sweating right alongside the members. You can read more about Dan Miller here.